DARC’s 15s season has completed. The Dames made it to the D2 playoffs. The Knights finished 3rd in D2 North. Now on to 7s season. 1200 Mill valley Dr, Plano, TX. 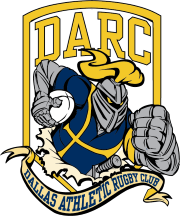 Riddled with injuries after last weekend’s friendly DARC drops a tough one on the road to division II stalwart Little Rock RFC 55-5. The boys look to regroup and heal up for the next match against DFW neighbor Fort Worth RFC. This match originally scheduled at Lake Highlands on 2/11 has been moved to Fort Worth. Dallas Youth Rugby Club Gears Up For Spring! 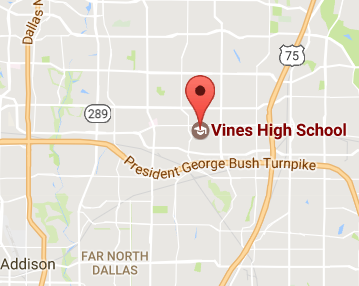 Dallas Youth Rugby Club has reported their plans for the spring.
. . .[W]e have officially secured facility’s for this year’s spring season. We are partnering with the City of Dallas, Park and Recreation Department to kick off our Inaugural U11 and U13 boys Rugby. We also want to give a big thank you to Memphis Inner City Rugby for providing us with resources to accomplish this, we could of have not done it without them. Besides our kids getting out and learning about the game of rugby this year we will be focusing on them understanding the culture of rugby. We believe this is where they will truly win on and off the field. Rugby is a brotherhood that stretches across the globe and transcends all barriers. This is something that we believe is very much needed in every community, sports should unity all of us not divide us. These will be our training locations starting in March, we will post more details shortly. Big game for the Dames today! 33-24 Win against the Lady Quin’s. Dames came out ready and focused. Lots of great communication and a solid defense helped us come out on top today. Great work, ladies! Knights defeat Euless, Dallas 3rd side. Big wins for the boys today in frigid and moist conditions.